Alcatel Onetouch wanted the world to see its new smartwatch so badly that it actually previewed the device last week ahead of its official unveiling. But at CES in Las Vegas today, the company confirmed a few juicy details we didn’t already know — such as compatibility with iOS devices, and the WATCH’s $149 price tag. When I wrote about WATCH last week, I noted that its lack of Android Wear could be both an advantage and a disadvantage; while it’s certainly a downside for existing Android users, it does mean that the device can work with more than just one platform, giving those who aren’t interested in the upcoming Apple Watch a third-party alternative. 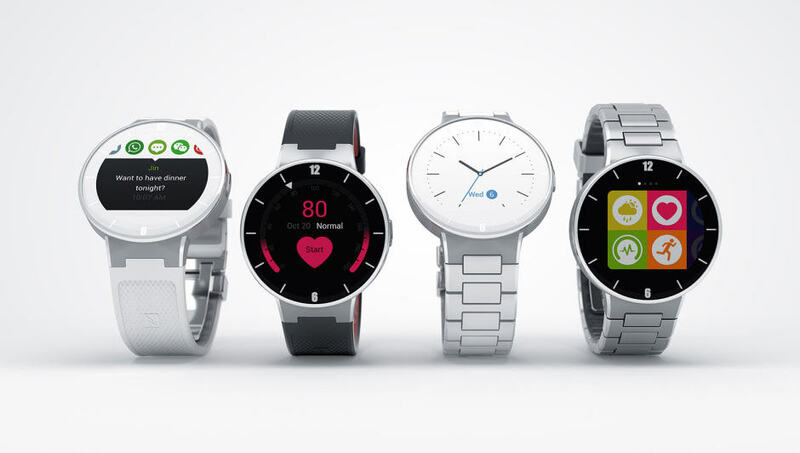 We didn’t know it then, but Alcatel today confirmed that WATCH will indeed work with the iPhone as well as Android. The company also confirmed that its own smartwatch software is designed to be incredibly easy to use on small displays, and will deliver the features we’ve already come to expect from wearable devices — including the ability to control music and read notifications. There will be no app store initially, though, so you’ll only have the apps that come pre-installed on the device. However, Alcatel has said it plans to change that later on. WATCH has a 210mAh battery that delivers up to two and a half days of use, according to Alcatel, as well as a built-in heart rate monitor, accelerometer, gyroscope, and altitude meter. It is IP67-certified for water resistance, and it’s powered by the STMicroelectronics STM429 chipset. WATCH’s display measures 1.22 inches, and like the Moto 360, it’s completely round with a small bezel across the bottom edge. Unlike the Moto 360, the WATCH’s bezel also features a capacitive back button to help you navigate, while a physical power button sits on the side of the device. WATCH will be available in four variants — one of which will have a sport strap in back and red, one will have a white strap and face, and the other two with have metal bracelets. All four have the same stainless steel watch face, but you’ll have to be careful about which one you choose, because you cannot swap the straps later. While WATCH does have a few downsides, its $149 price tag makes it a very attractive option for smartwatch buyers who want a modern device that isn’t restricted to one platform. Alcatel hasn’t confirmed exactly when it will be available yet, but we hope to hear more soon.